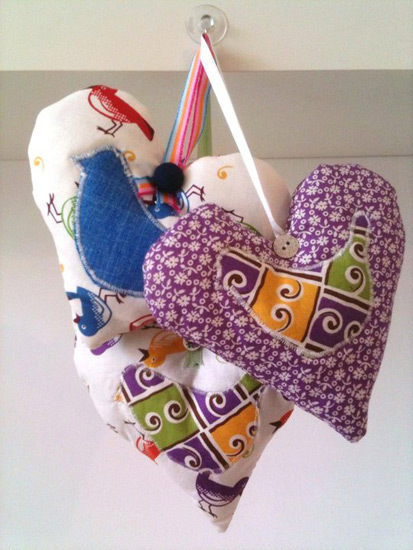 From doorstops to baby gifts to cards to cushions to scarves - anything that isn't a bag really!! 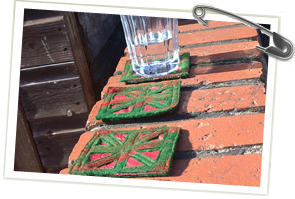 Sunflower Design has a range of accessories all of which are hand made in the UK. 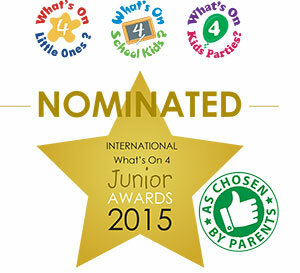 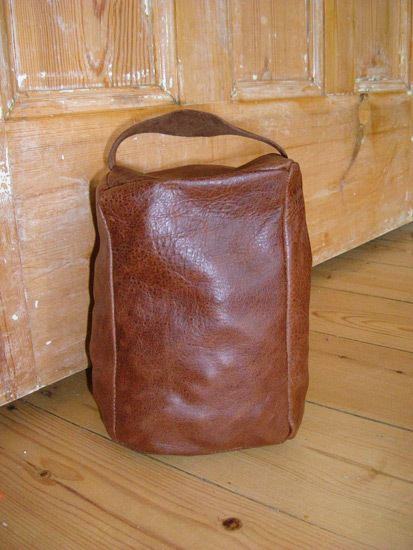 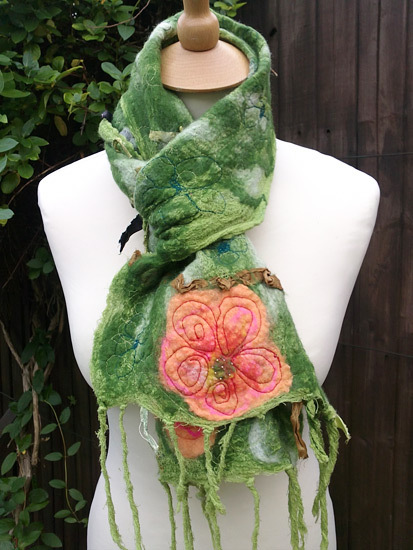 Have a browse around the gallery to see the eclectic mix of accessories all hand made by Jan. 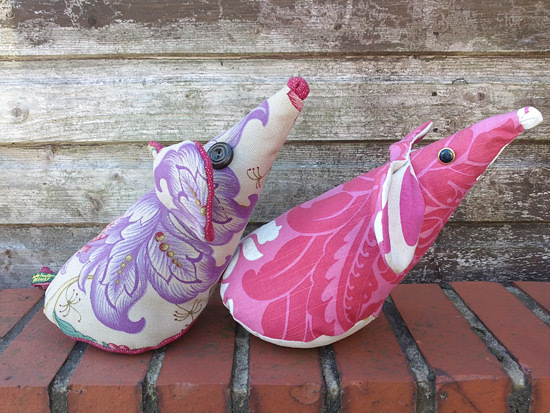 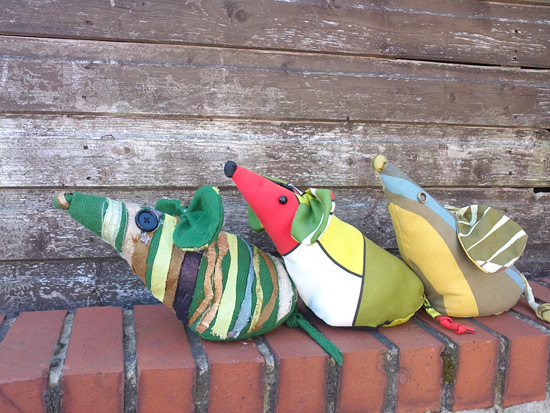 Pretty but practical Jan's doorstops will bring a cheer to any home. 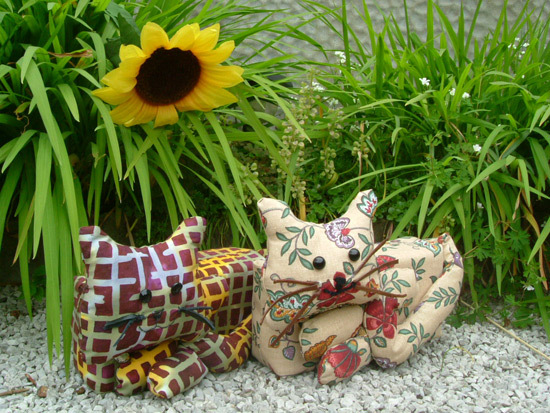 Doormice, square, owls - all Sunflower Design's doorstops are hand made, with kiln dried sand as the weight and stuffing to make the shape. 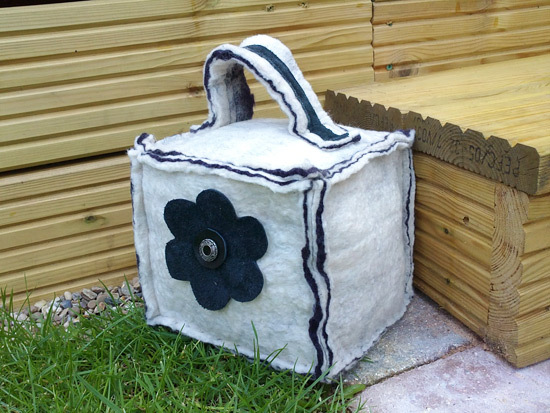 Doorstops can be made in fabric or leather so you can match it to your room! 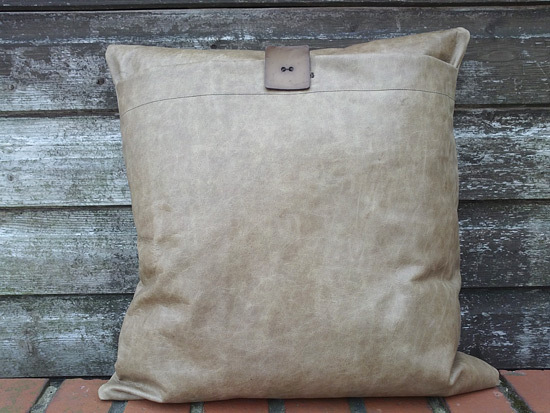 Cushions are decorative as well as comfortable. 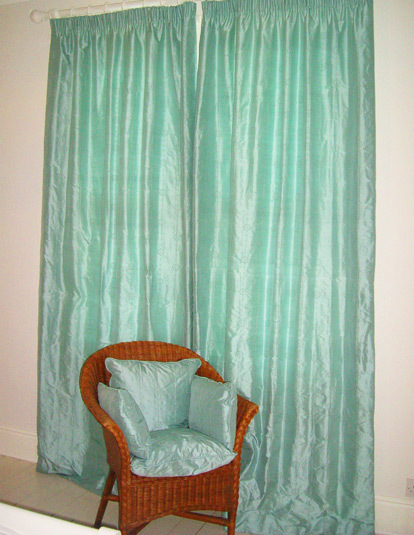 They are a relatively cheap way of adding accent colours to a room. 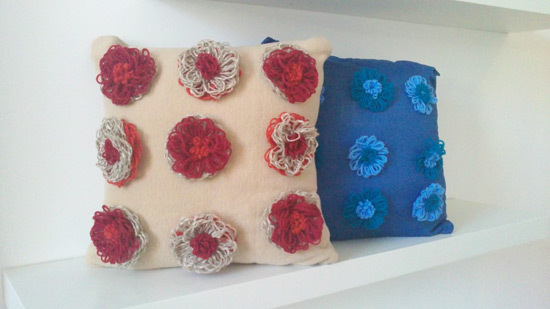 Scatter cushions of any shape or size can be made. 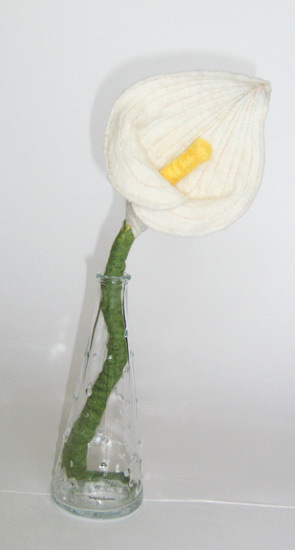 Covers can be decorated, appliquéd or in a fabric to match your home. 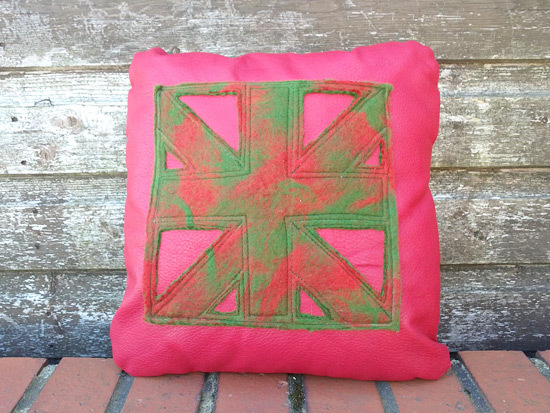 Jan's range of felt and leather union jacks bring her two favourite textures together for a uniquely British look! 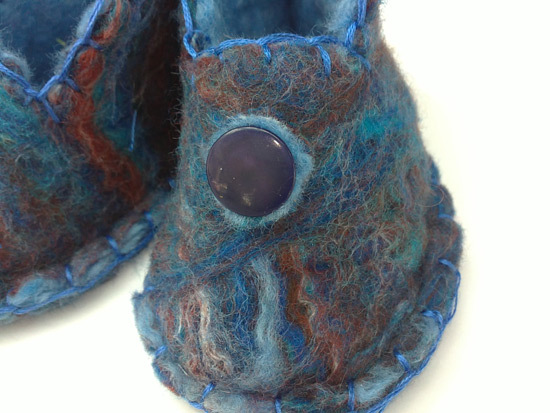 Hand felted bootees from newborn to 6 months. 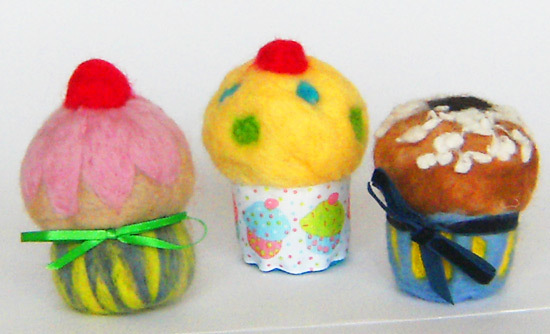 These can be a gorgeous gift especially when personalised with baby's name and date of birth in hand embroidery. 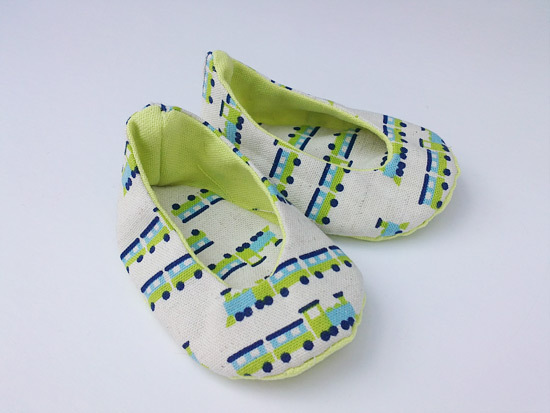 Jan uses the finest merino wool tops in her handmade felt so these are soft, warm and light to keep baby's toes cozy! 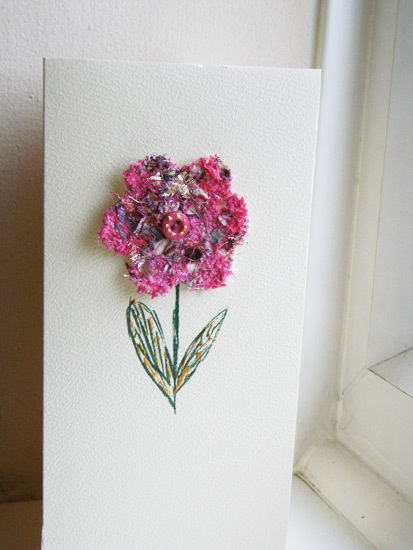 Unique and beautiful - Jan's hand-made cards are all one-offs. 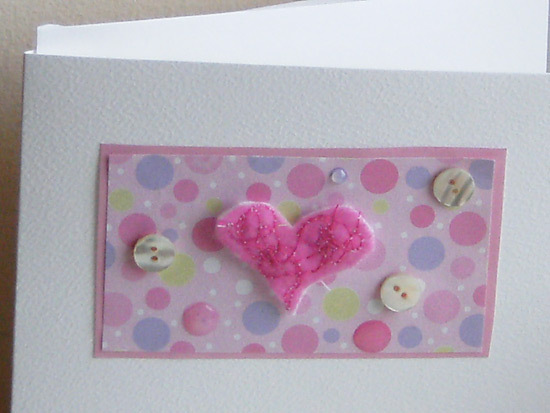 She loves mixing stitching and felt on her cards for a truly unique look. 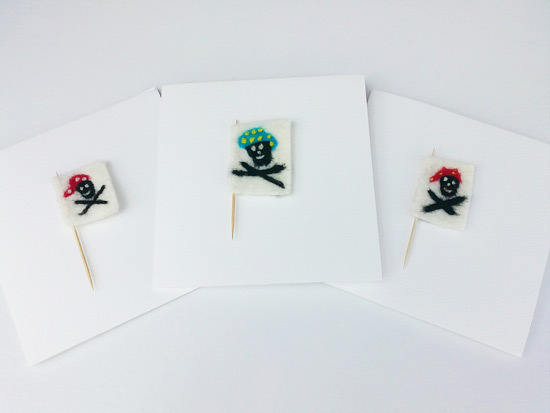 All her cards are left blank for you to write your own personalise message and also allows for the cards to be used for any occasion. 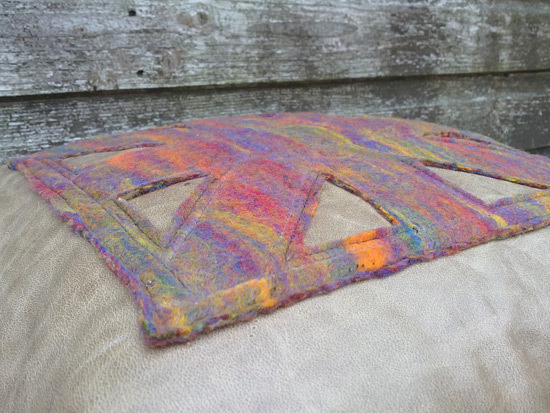 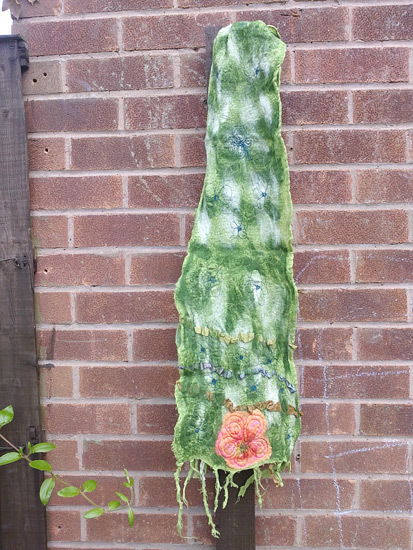 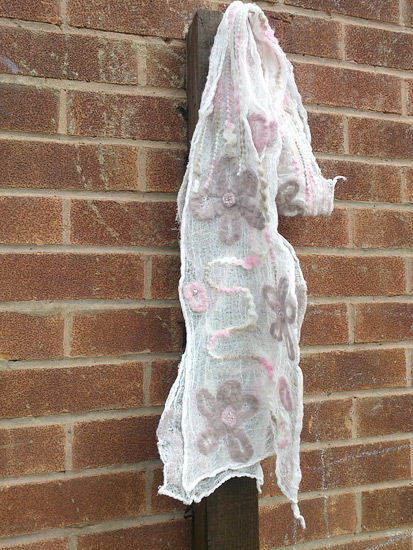 Jan's felt scarves are colourful, individual and full of texture! 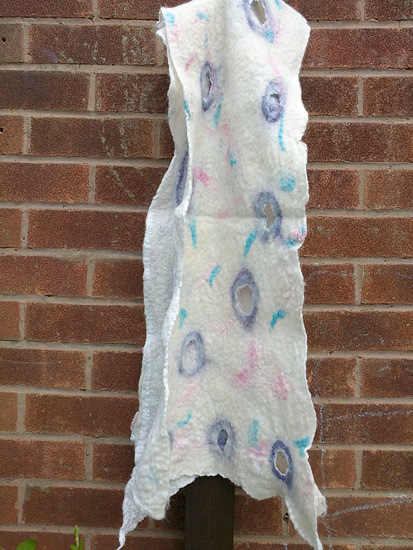 Felted using the finest quality merino wool tops, using a technique called Nuno Felting. 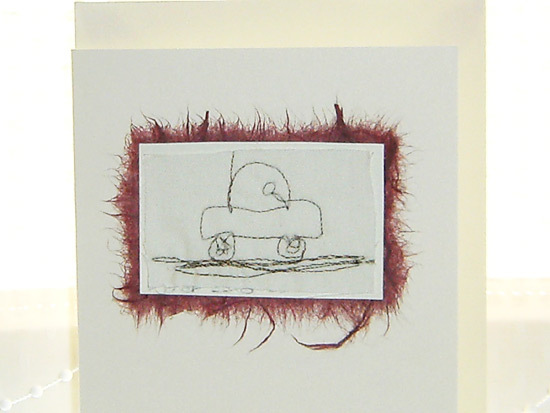 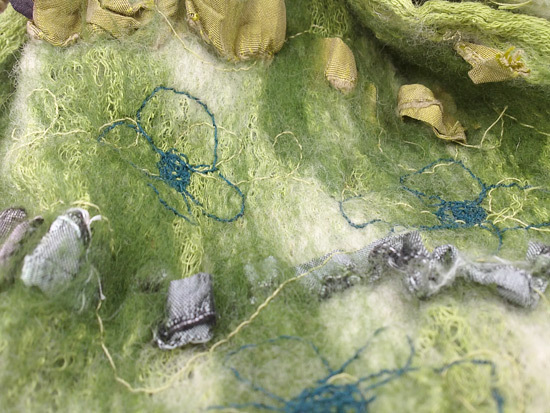 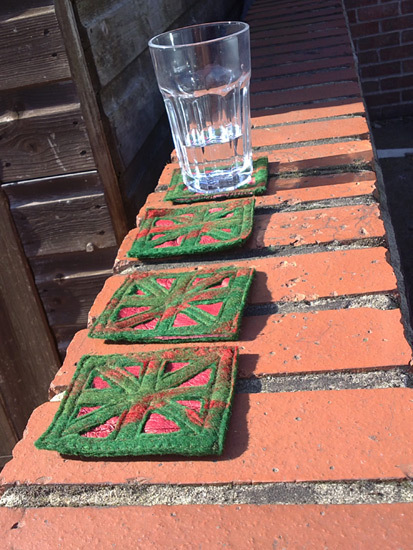 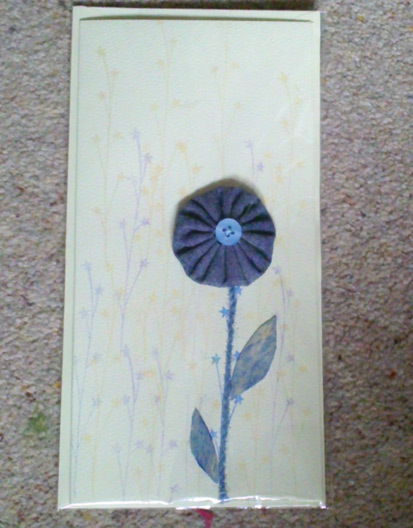 These can be left felted or stitched on to and embellished. 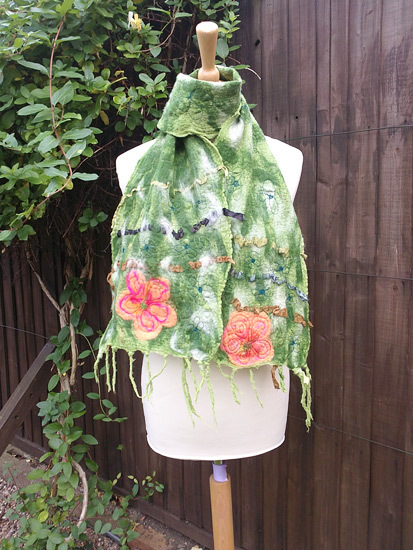 A wonderful warm gift for truly individual style! 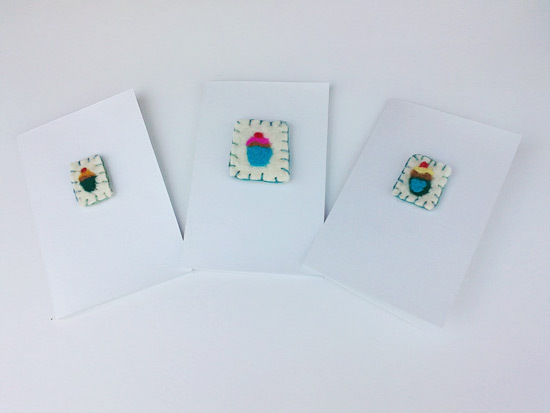 An eclectic mix of little gifts from pin cushions to coasters to felt flowers and brooches. 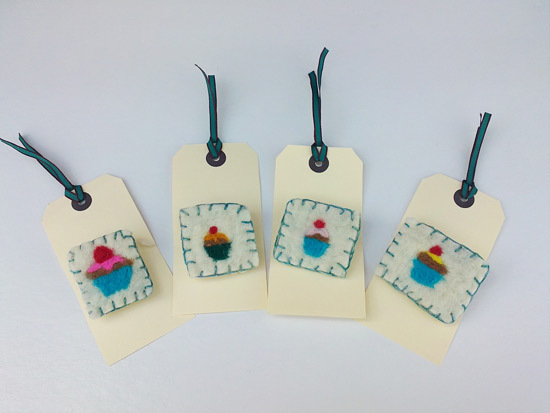 Jan never sits still so even when watching TV she is hand stitching, needle felting small items so she has a wonderful vast range of small items suitable for any age/budget.